Your wedding cake is a work of art. Most Utah wedding cake bakeries can be as creative as your imagination will allow. From the traditional to whimsical, these Utah wedding cake bakeries can create wedding cakes that will taste as fantastic as they look. We were very happy with Cosmopolitan Catering for our daughter's reception. Mark and his staff did a wonderful job at our recent wedding ... the service and food was exceptional. Mark did a wonderful job. The food was amazing. Cosmopolitan did an amazing job catering our Wedding. We highly recommend them! Thank you Mark, and your staff for a job well done! 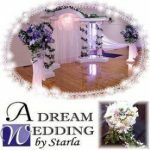 Specializing in elegant weddings and events for over 35 years. We offer unique presentation ideas and unsurpassed food quality! Wedding cakes – elegant or whimsical - always in good taste and great looking! We are here to make your wedding experience truly anything but ordinary. Rockwell Catering has produced thousands of weddings. From a small, intimate family dinner to a grand event for 500 guests, we provide the same level of service and quality. Providing Flavor, Freshness and a Flawless Presentation throughout Utah since 2009. Plus a FREE WEDDING CAKE! 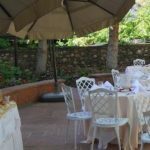 Brown Brothers Catering can provide everything to satisfy your needs as well as create the perfect atmosphere for your Utah wedding day. Get your wedding cake from one of Utah's elite wedding cake decorators. Midway Bakery on Main specializes in unique wedding cakes. We also provide pastries and cakes for any occasion. Let us do the scooping while you enjoy your wedding! A Fun, Exciting and Unique way to serve your wedding guests. Everyone loves ice cream! Now you can please all of your wedding guests by giving them a choice at your reception. We specialize in the latest techniques, which gives you the smooth porcelain like finish for your wedding cake. Choose from simple designs, to elaborate multi-tiered masterpieces. Ambrosia Exqusite Wedding Cakes has been perfecting the art of wedding cakes for three generations. Let us make your wedding a little bit sweeter with our signature Italian artisan Gelato. We also provide Wedding Cakes and Deserts that are unsurpassed! 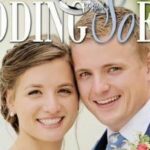 Serving the Salt Lake Valley with unique and delicious made-to-order groom and wedding cakes and for any occasion. Brilliantly scrumptious temptations for your wedding day. Or any day. We also offer catering services for your wedding reception. 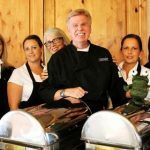 Our catering service is designed to provide your wedding reception with fresh, delicious meals and personalized service throughout Utah. At Belgian Springs Chocolate Fountains we understand just how important your wedding is to you! Creating the Best Wedding Cakes along the Wasatch Front for half a century! Tiered Expressions is Utah's leading creator of wedding cakes. They have years of education and experience to bring you the best (and tastiest) in fine custom wedding cakes. If you can imagine it, they can create it! My goal is to create a wedding cake design for you that will be fabulous and delicious, designed specially for your wedding style. Contact me for a free tasting and design consultation. We don't want to just meet your expectations, we want to exceed them!